In 2018, China’s pig and pork prices first dropped and then increased. In early 2018, pig prices went up for a short time due to the severely blocked transportation caused by the blizzard weather. However, with the blizzard gradually dissipating, pig prices began to keep slipping influenced by the supply-demand imbalance. Pig prices rebounded in H2 May. The high temperature in summer lowered the supply of pig. In addition, winter witnessed a low piglet survival rate, which further decreased the supply of standard weight pig. In mid-August, as the African swine fever broke out in Liaoning, Henan and Jiangsu, pig farmers became more panic. Therefore, they speeded up the supply of pigs. Consequently, the pig prices decreased quickly. Moreover, the African swine fever brought forward the decrease in pig prices which traditionally happens in second half of the year. The pig supply increased on the whole in 2018. Since 2016, the environmental protection supervision had been strengthened in the pig industry, accelerating the de-capacity process. But at the same time, large-scale big farms expanded the number of sows. Up to 2018, the supply of pigs was more than that in 2017. Accordingly, the feedstock supply increased in the slaughter industry. As China added a tariff of 25% on U.S.-origin frozen pork, some enterprises began to import more frozen pork from EU countries and less from the U.S, which changes the supply structure of pork. In 2018, the operating rate in the slaughter industry increased Y-O-Y. According to SCI, the increase in the sales of fresh pork was less than that in the slaughter volume which benefited from the low pig prices. As pig prices were low, many slaughter plants split pigs and froze the pork for inventory. And they didn’t sell pigs until the prices were high. As for the per capita consumption of pork, the consumption habits of residents have changed with the increase in alternatives. But pork is still the main meat product in China, so there is still room for growth in per capita consumption. SCI reckons that pork will still dominate the meat market in 2019. What will happen to the slaughter industry in the case of a continuous increase in the supply of pigs? If the increase in the tariff on the U.S.-origin frozen pork will impact China’s frozen product market and change the import structure? Influenced by the African swine fever, if the end demand for pigs will decrease? Besides, what will customers choose with more alternatives such as beef and mutton? What changes may occur in the pork market in 2019? All these answers will be found in the report. 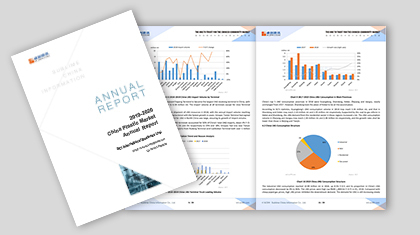 This report is based on the data from SCI and also composites the authoritative data from Ministry of Agriculture of the PRC, General Administration of Customs (GAC), National Development and Reform Commission (NDRC), etc. Besides, combining with the experience and opinions of SCI’s senior analysts and other market participants, this report conducts deep analysis of 2018 China’s pig slaughter market and analyzes the cooperation between the downstream and upstream enterprises and the policy changes in pig slaughter industry. Meanwhile, this report comprehensively and rationally forecasts the supply, demand, capacity and feedstock prices in pig slaughter industry through historical data and data analysis methods. (1) To present changes and the relative influences in the pork market through the analysis of China’s pork market supply-demand pattern. (2) To show the changes in China’s pork market more clearly through the analysis of pork prices in northern and southern China. (3) To analyze pork market based on pork import and export data. (4) To deeply analyze market changes in virtue of five years of accumulated data including pig slaughter volume, frozen pork inventory, pork output and total consumption volume, slaughter gross profit, sales proportion of pig, beef and mutton. (5) To comprehensively and objectively forecast the future pork market, considering the factors influencing the market in various aspects.